Happy February! Are you gearing up for Valentines Day? 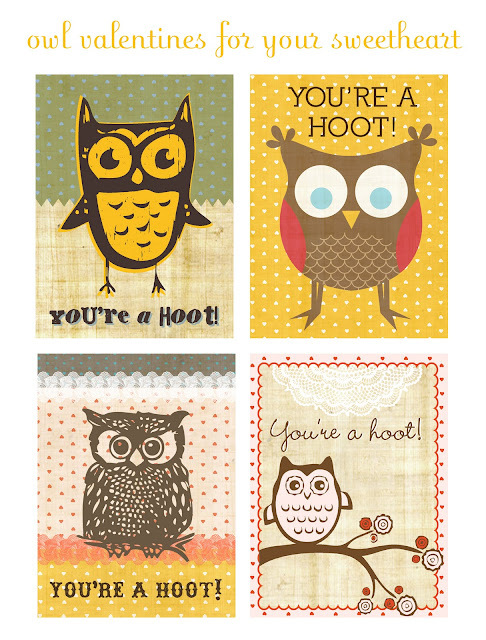 I've just added new OWL printable Valentine Kit to the Bee & Nie Etsy shop. So fly on over and check it out HERE. those are so stinkin' hootalicious! Super duper cute. I need to go get some! !